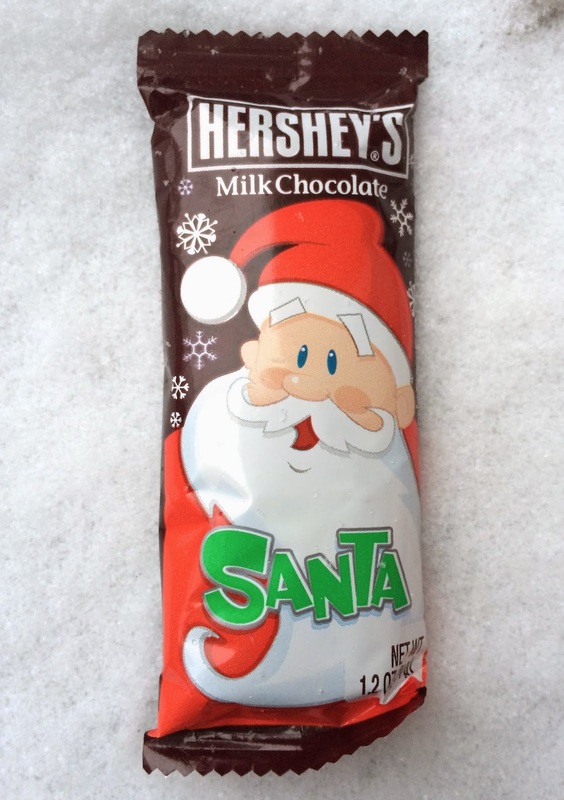 This Hershey's Milk Chocolate Santa is the perfect two-bite treat. Same old Hershey' milk chocolate bar- but that's great and doesn't need meddling. The chocolate comes in a really sweet and somewhat traditional mold of a cheerful Santa. His beard makes up over half the candy's substance. 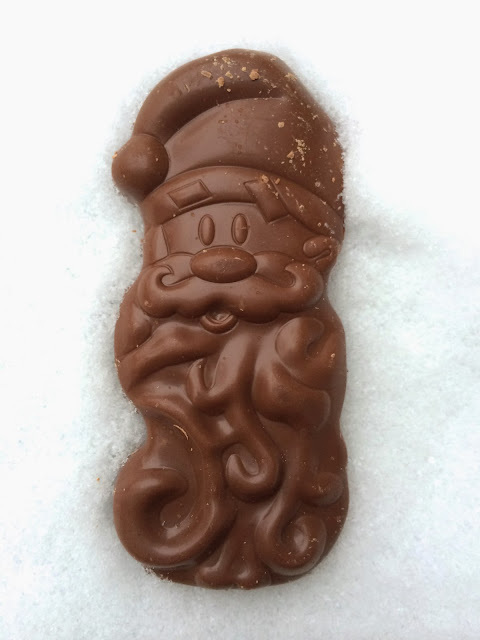 This is one of the nicer santa-shaped chocolates I've encountered- simple, delicious, inexpensive, traditional, and festive. Sweets! This is so beautifully photographed. How did you do it? Was it imitation snow in your studio? Thanks for asking! This is real snow, which I think sets off the rich chocolate beautifully! My brilliant husband thought of it!